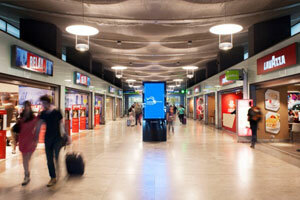 Madrid is one of the top five 'Eurohubs' with plenty of room for expansion. Major unserved route opportunities include St. Petersburg, San Francisco and Singapore. 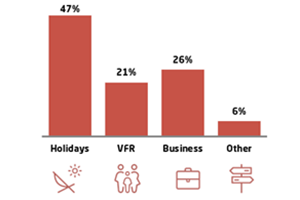 Madrid appeals to an increasing number of foreign network carriers by offering connections to nearly 20 non-stop destinations in Central and Latin America – more than any other European airport. 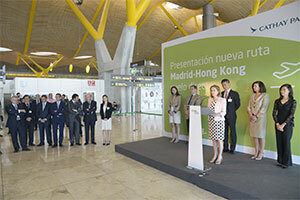 Launched in June 2016, Cathay Pacific Airways opened a new route from Madrid to Hong Kong. 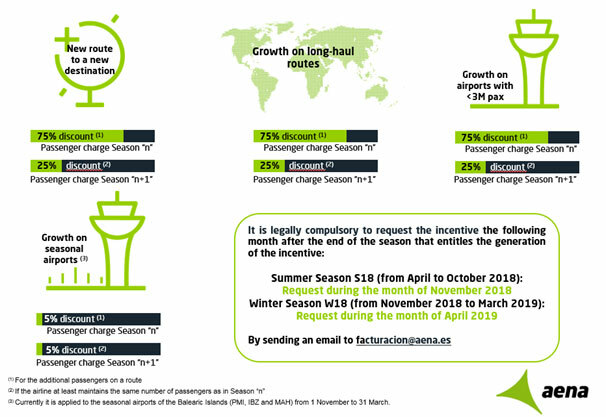 This new route increased the direct connectivity with China and strengthened the economic and touristic ties with one of the leading economies of the world, as well as opening up potential new connections to Latin America for Hong Kong-based travellers and businesses, while allowing access to Central China and Asia for passengers from Southern Europe. 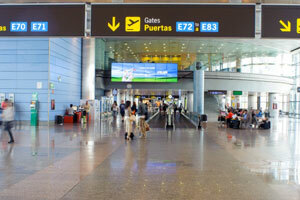 Adolfo Suárez Madrid-Barajas is the main gateway between Europe and Latin America; Madrid is the capital of Spain and Adolfo Suárez Madrid-Barajas Airport is the main door to tourism in the country. 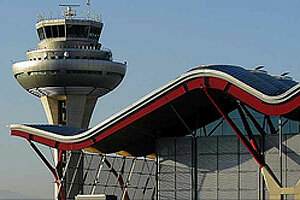 Adolfo Suárez Madrid-Barajas is connected to the main tourist destinations in the country (30 Spanish airports). 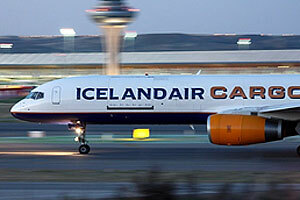 It is also connected to 172 international destinations (+5,000 passengers) in 67 countries. With over 79 airlines (+5,000 passengers) in our family and counting, the airport is also home to all the alliances − oneworld, SkyTeam and the Star Alliance. Catchment area of close to eight million inhabitants. 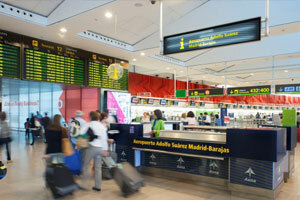 More than 1,500 lodgings/hotels in Madrid region. Tourists usually visit the museums (Prado Museum, Reina Sofia, Thyssen), the city centre (Puerta del Sol, Plaza Mayor), the Royal Palace and the Cathedral. Like any modern metropolis, Madrid has several shopping centres and small family-run shops selling traditional goods. The shopping caters to all wallets. 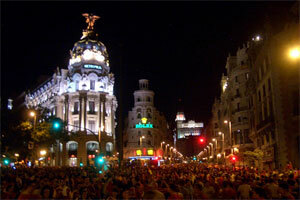 Tourists to the city can enjoy watching a Real Madrid or an Atlético de Madrid football match. There are nine UNESCO World Heritage locations located at less than two hours away from the city: Alcalá de Henares, Toledo, Cuenca, Segovia, Ávila, Salamanca, Córdoba, the Monastery and Site of San Lorenzo de El Escorial and the Aranjuez Cultural Landscape. Madrid Fashion Week is celebrated twice a year, in February and September. 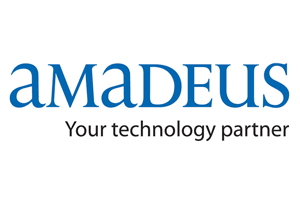 At the end of January, the fair Madrid Fusion, comes to the capital of Spain. San Isidro takes place every year on 15 May. This famous party is well known for its bullfighting. 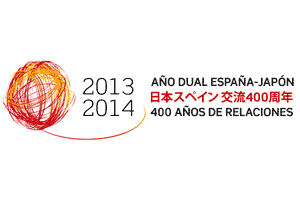 Between June 2013 to July 2014 the country organised the Year of Japan in Spain to commemorate the 400 years of bilateral relations between the two nations. 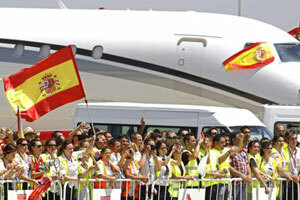 The fruits of this celebration became evident in October 2016, when Iberia began three times weekly flights to Tokyo Narita. Madrid and people: The EU's third largest urban area by GDP – and undisputed capital of Southern Europe. The map shows the population within two-hours drive from Madrid Airport (the red square). As a vital European centre for goods and services, Madrid's freight throughput was over 470,000 tonnes in 2017. 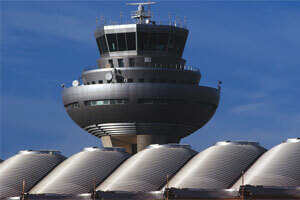 Aena is planning to make Barajas the biggest hub in Europe for Latin American cargo. 470,795 tonnes of airfreight managed in 2017. Main types of exported products include garments, mechanical and electrical devices, pharmaceutical products and perfumes. In imports, following garments, mechanical and electrical devices, are fish and seafood. 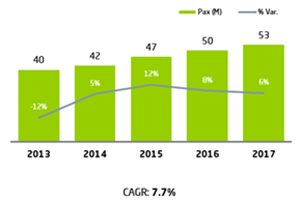 Overall, clothing products registered the strongest growth both in and out due to the presence in the area of some major international companies such as Inditex, Mango or Desigual, among others. Garments are mostly imported from Asia and exported to Asia, Europe and Central America. 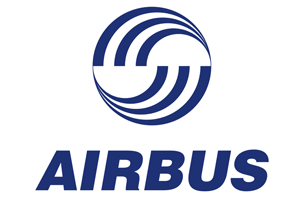 Electrical and mechanical devices are imported from Asia and Europe and exported worldwide. Fish and seafood imports are from North America and Africa. 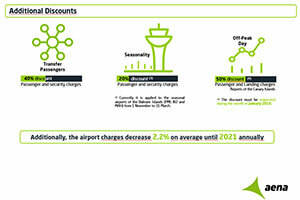 Biggest cargo airport in Aena’s network (46 airports); market share of 51% in 2017. Maximum cargo operation 850,000 tonnes/year. Currently 129 hectares totally devoted to cargo activities. 14 hectares are under development with direct access to apron. 359 hectares available for future developments. 178,000m2 built including cargo terminals with direct access to apron, cargo terminals on land side, general services building and parking spaces. All cargo operators involved in the transport logistic change are integrated in the cargo area. General service building with 15,210m2 of offices. Customs and Border Inspection Point approved by EU for every kind of good. 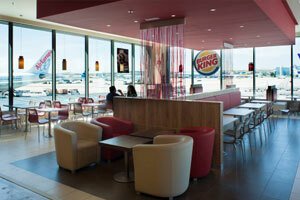 Operating 24h/day / seven days a week. Freight is exempted of cargo charge from the 5 July 2014. The award-winning Terminal 4, opened in 2006, increased the airport's capacity up to 70m passengers – the airport handled 53 million passengers in 2017. 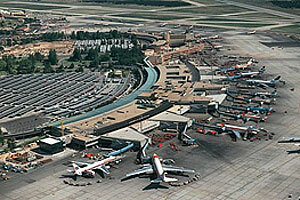 Adolfo Suarez Madrid-Barajas Airport is situated 12 kilometres to the north-east of the city. M-11: access motorway to the airport. 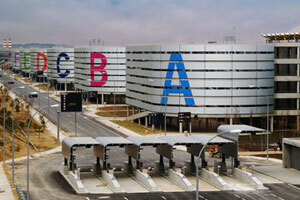 This joins up with the M-40 (exit 2B) in the north of Madrid and then with the M-12 and M-14. R-2: toll motorway between Guadalajara and the M-40. 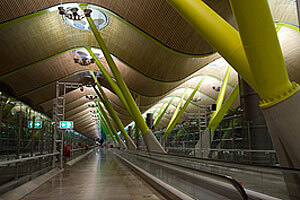 Line 101: Canillejas Transport Hub-Airport. Alsa: From Terminal T4, the Alsa bus company runs services to the major cities in the north of Spain: Barcelona, Zaragoza, Lugo, Santander, Burgos, San Sebastián and others. Avanzabus: From Terminal T1 the bus company Avanzabus operates routes to Ávila and Salamanca. Socibus: From Terminal T1 the Socibus company runs services to the major cities in Andalusia. Metro line eight runs from all the airport terminals to Nuevos Ministerios station in central Madrid. 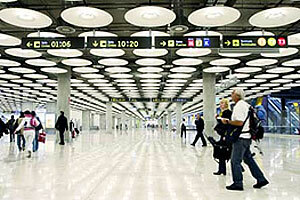 A modern suburban train line connects Terminal T4 with several key locations in Madrid: Chamartin, Nuevos Ministerios, Atocha and Principe Pío. 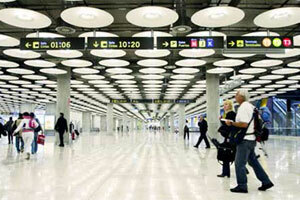 Adolfo Suárez Madrid-Barajas Airport has a free bus service connecting terminals T1, T2, T3 and T4, 24 hours a day. 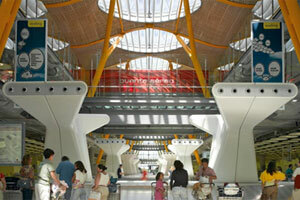 Madrid Barajas: has substantial new route opportunities, and the capacity to exploit them. 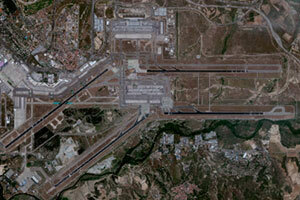 Runways: Four runways (3,500m, 3,500m, 4,179m, 3,988m). 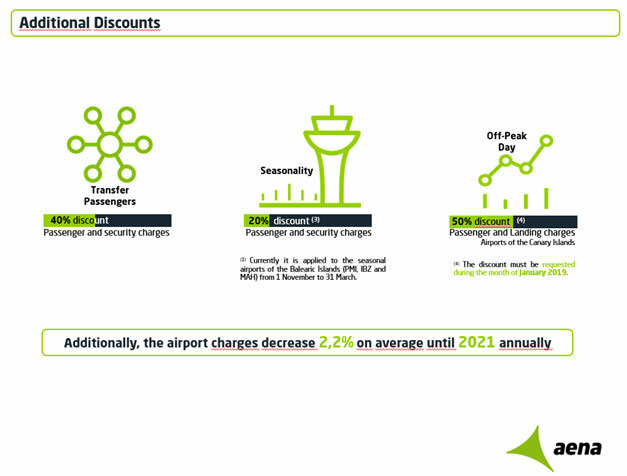 Terminals: T123 & T4 opened in 2006. Spare capacity for future growth (potential capacity: 120 mov/hr). Passengers (commercial): 15m domestic passengers; 38m international passengers. 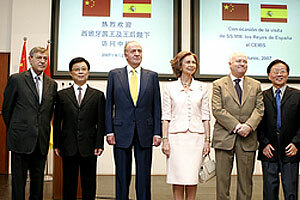 Largest carriers (Top Five): Iberia, Air Europa, Ryanair, Iberia Express and Air Nostrum.